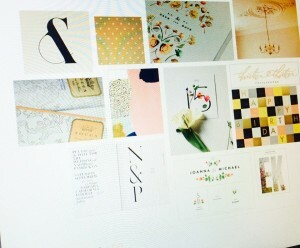 This past fall, Shannon Basso and I chatted via email and the phone about her upcoming project, BECOMING magazine. Her passion for encouraging women in the Lord is contagious and I welcomed the opportunity to get to be a part of the inaugural issue. BECOMING launches this week, so I asked Shannon if she’d do an interview with me on Wit’s End, explaining her hopes for the magazine. I can’t wait for my copy to arrive in the mail! If you’d like to see more, visit the BECOMING FB page. Sure! I live in Orlando, Florida with my husband, Justin, and our three young kids. I was born here and most of my family lives in town, so they are an important part of our life. We are a part of a “hybrid” homeschool program- the kids are home two days a week with me, and away at school three days- so we all spend a lot of time together. I love theology and writing and learning new things. I’ve always been passionate and had a love for the Bible, so after years and years of asking God to show me how to use these things, He finally aligned my passion and interests with a little idea called BECOMING. I absolutely see the purpose in His timing, but the waiting was hard! Who or what inspired you to start a new magazine? That is a long, long story! Short version: The Holy Spirit woke me out of a spiritual slumber about five years ago. 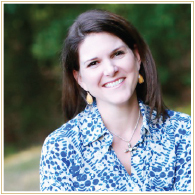 At the time, I was busy at home caring for 2 young children (with one more on the way) and truly loving family life, but my faith felt very dry and lifeless. I was doing all the “right things”- reading the Bible, praying, participating in bible studies and small groups, and attending church regularly. But, I felt like I was relearning the same lessons over and over again. I found myself asking, “Lord, is this all there is? Is this the Christian life- you grow into a set of foundational truths and then camp out there forever?” No and no. I was stuck, but I wasn’t sure how to pull myself out of it. After I struggled in that place for a while, the Lord met me in a very specific way and the message I heard was- Shannon, you need to grow in your knowledge of Me through My Word. I started meeting with 2 other women, and all we did was read and wrestle through Scripture. My faith blew wide open at that point and I fell in love with God again. I eventually realized that many, many women are in the same place I was… stuck in a status quo faith and not much challenging them to more. BECOMING developed over about a 2 year period. I launched it as an online magazine in March 2012 and put out 8 small issues with the help of a few friends. 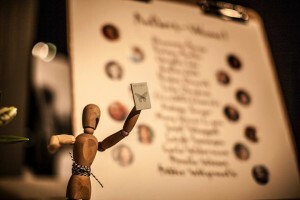 But, the number one request from our readers was, “Please, put this in print!” They wanted something tangible to hold. So, we took about a year and half off to discern God’s call, start building a non-profit, and put the first volume together. What is the main theme of this year’s edition? Why did you choose it? This year we are focusing on Identity. I think all women struggle with understanding and being content with who they are, in some way or another. We all have backgrounds and personal stories that shape our idea of ourselves, and that is often enough to give us deeply flawed views of our identity. But, when you add in the cultural messages that assault us in the checkout line and the undercurrent of comparison and jealousy that social media can breed- yikes! These messages are so constant that we hardly notice them anymore, but we see the effect of them surface in the ways we talk and act and think. Here’s what I know: God has told us exactly who we are, and it is a glorious identity. 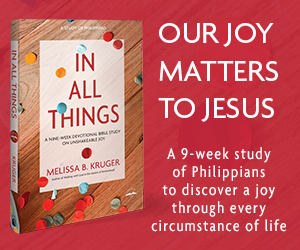 When we know Christ, our lives can be infused with so much meaning and purpose and peace! We have to learn to rest in who He made us to be. If we don’t, we will always be chasing, always be proving, always be looking for people to accept and admire us. The women of maturity that we look up to, the ones that are having true kingdom impact, are not thinking of themselves and they are not even thinking of you and me! It’s not that they don’t love others- they do, deeply- but they just don’t need them to be complete. What is your hope for BECOMING in the lives of women? Honestly, I hope that BECOMING will change the conversations women are having. Growing in the knowledge of God is not some boring concept left to the nerds and old men in stuffy seminaries; it is a part of our calling as strong women of God and it will, in fact, set your heart on fire if you will let it. So, yes, I hope that women will start using words like “regeneration” and “imputation” and actually know what they mean. But, it’s more than that. I hope we will all start asking questions again, that we will regain a curiosity and desire to really know God in all His holiness and righteousness. And, I hope we will all stop acting like we are helpless to understand the more challenging aspects of Christian faith. We have a tendency to forget that our knowledge of God is what fuels our love of God and, therefore, our love for others. He wants us to grow and mature, and it starts with our minds! BECOMING is all about transforming, about taking the next step into the journey to which God calls us. We don’t have to do it alone, praise God, and I pray we will all begin encouraging and challenging each other (and gently prodding, when necessary) to embrace what we were made for. How is BECOMING different from other publications? What makes it unique? First, BECOMING teaches women through the lens of disciple instead of approaching her through her roles or season of life. Roles and seasons change; our calling to love God first, as disciples and followers of Jesus, never changes! Women are bombarded in our culture with “5 Ways to make yourself a better ____.” So, we often forget that our ability to carry out our roles with true excellence depends on our commitment to seeking God first. We are not after external behavior modification; we are after internal heart and mind transformation. Second, BECOMING is meant to be a timeless resource. Our publication is not dated and is not intended to be a cultural commentary. We desire to faithfully present God’s timeless truth without confining it to specific times, places, or events. 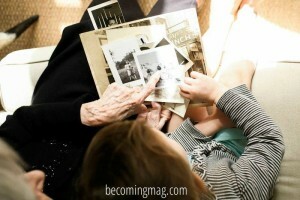 In this way, BECOMING becomes a tool that is part of a woman’s library and can be used for years to come. So, if a woman becomes aware of BECOMING three years from now, she would be able to order our first volume and it will still be completely relevant. 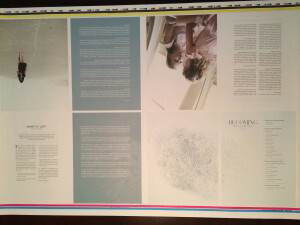 Third, each volume of BECOMING focuses on a single topic. We explore this topic from many different biblical perspectives, so that as you make your way through the content, it is overwhelmingly clear that God has spoken with authority on the subject. It also gives us a deeper perspective that I think we miss when we are constantly jumping from one concept to the next at surface level and at lightning speed. Let me also say that this is a beautiful magazine- wonderful photography, thought-provoking, God-honoring content, and a lovely “feel”. Our intent all along has been to produce something of excellent quality that reflects the excellence of our God! Can you share with us the various contributors and the title of their articles? We have amazing, thoughtful writers for our inaugural volume! They are truly a testament to God’s provision; we contacted each of these women individually about contributing, and to my amazement, the answers kept rolling in, “Yes!” Even though BECOMING is a completely new concept and publication, these women were willing to partner with us in our mission. You can read more in-depth bios of each of them on our website. 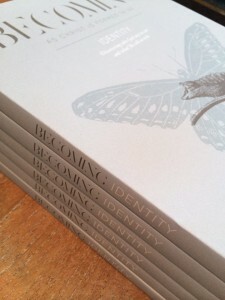 When does BECOMING come out and how can we get a copy? BECOMING Magazine will launch Friday, June 5th! My team and I will blog through the magazine content all year long, as well as host a couple special events to promote intentional conversation around the topic of Identity. 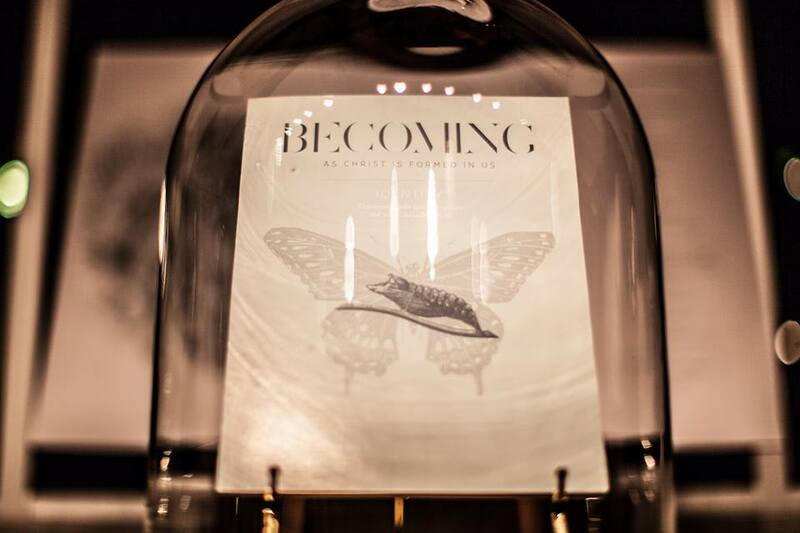 Copies of the magazine are available through our website, www.becomingmag.com. I would mention, too, that women interested in ordering for larger Women’s groups and Bible Studies (25 and up) should contact us directly. We desire to build community and facilitate discipleship, so one of our team members would come alongside to help in the process of ordering, delivery, and follow up. Somewhere quiet. I reenergize when I have time to be alone and think and be inspired. If it were a longer afternoon, I’d want to go to a great restaurant and hang out with my husband. For a shorter break, you would probably find me wandering aimlessly through Anthropologie for inspiration, and then at a little coffee shop dreaming about what God might want to do next!